Keep the kids entertained with these creative craft ideas. They make perfect snow day or winter break boredom busters. 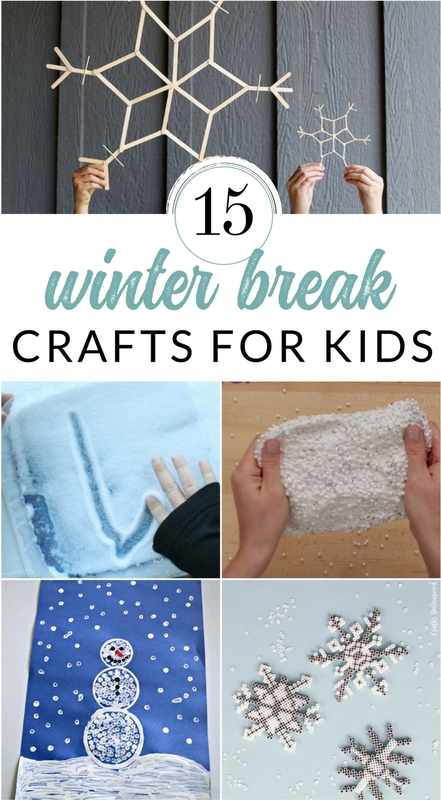 Winter crafts and creative projects for kids of all ages. Magic Watercolor Craft – Watch as winter scenes magically appear beneath their paint brushes. Q-Tip Painted Snowman Craft – The best part of this craft is that you can make this snowman indoors. Craft Stick Snowflakes – Perfect in holiday decor, as gift toppers, or as a front door medallion! Perler Bead Snowflakes – These little beads can keep my kiddos entertained, focused, and quite for hours! Slime with Glitter and Foam Balls – looks like glittery snow, in the comfort of your warm home. Salt Writing Tray – This Frozen-inspired activity will keep kids engaged and practicing their letters when school is out. Winter Tree Silhouette Watercolor – To make your own, all you will need is a little masking tape, paper, and some watercolor paint! Snowman Tissue Box – For those cold weather sniffles. Paint the Snow – This easy snow paint recipe (in a spray bottle) will add a little color to your snow bank. Winter Snowman Puppets – They’re made from cotton rounds, and the kids will love them. DIY Confetti Bookmarks – Encourage reading on school break. Fingerprint Snowman Note Cards – Make winter cards for friends and family. Pom Pom Hot Cocoa Mugs – Your kids can make their own little mugs for a Christmas craft! Snow Slime in a Jar – It’s got extra sparkle, so the kids will love it. 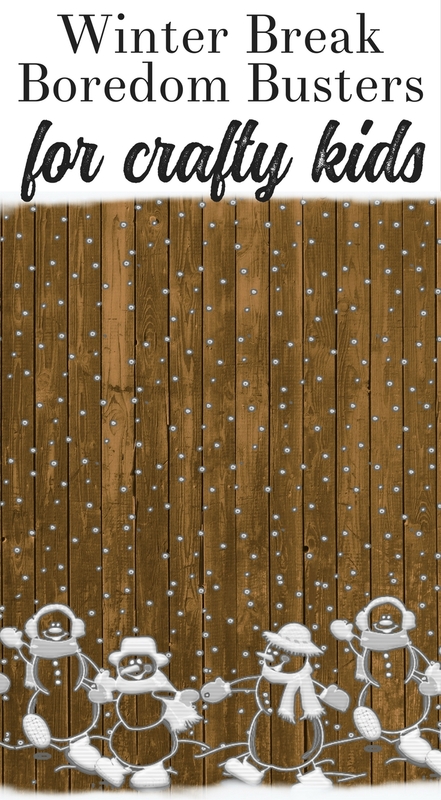 Fluffy Snow Paint – It looks just like fluffy snow, with a little bit of sparkle.